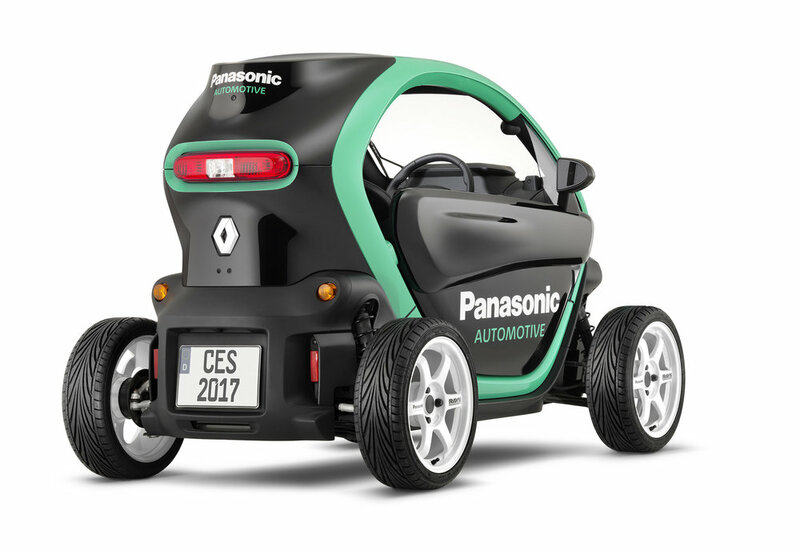 Electronics giant Panasonic has shown a glimpse of the not-too-distant future, revealing an Autonomous Cabin Concept at the 2017 Consumer Electronics Show in Las Vegas. Showing how the autonomous car will fit in with the lives of regular consumers, the concept is a world-first for the company, and includes next-generation infotainment and connectivity features, wrapped up in a futuristic four-seater cabin. 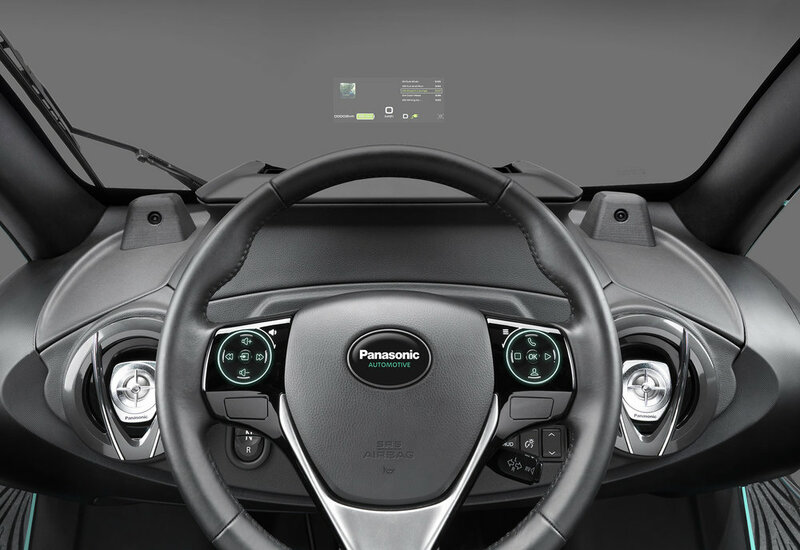 Following on from Panasonic’s Advanced Cockpit Concept, which was unveiled at last year’s CES, the Autonomous Cabin Concept is the next step and features the latest in touch displays, smart materials and augmented reality - making travelling in the autonomous car of the future ‘as fun and as important to everyday life as a smartphone is today’ says Panasonic. Providing an extension to the workspace on the one hand, and switching to a ‘perfect family zone’ on the other, the use of creative and informative displays, connectivity and augmented reality is integral to the cabin Concept. Panasonic also chose CES to reveal its next-generation Head Up Display (HUD) with Augmented Reality (AR). Demonstrated on a specially adapted Renault Twizy Electric Vehicle, it’s capable of projecting very large virtual images in the driver’s eye line, using AR to enhance the real world with HUD-generated imagery. Combined, HUD with AR gives the driver more information and can warn him or her of potential dangers. It also replaces the traditional instrument cluster and with everything running through the HUD, many of the car’s traditional physical controls are replaced too. 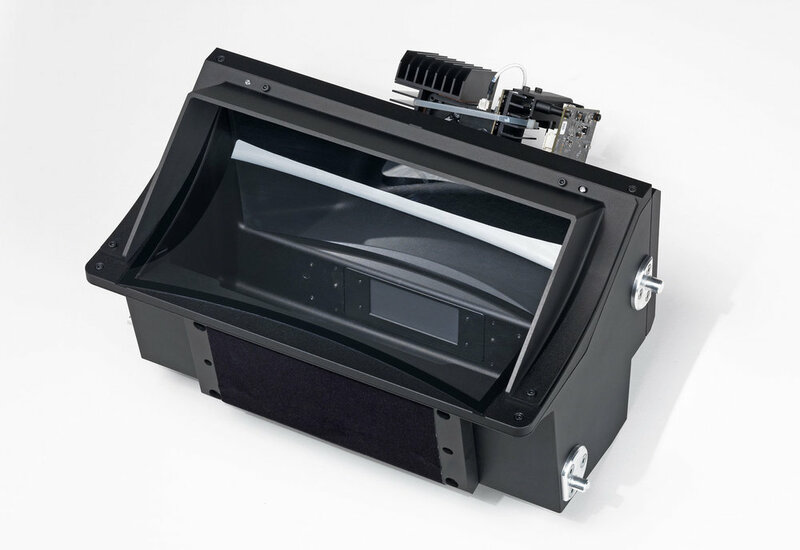 Capable of projecting the large virtual images - up to 12-degrees to the horizontal and 5-degrees to the vertical – into the driver’s visual path at a distance of 10m in front of the vehicle the system is teamed with a total of eight cameras: a rear camera, front camera, night vision camera, a down side view camera, two additional side view cameras and two cameras which track the driver’s head and eyes. The two cameras which constantly track the driver automatically adjust the HUD in real time so that the imagery is perfectly placed in his or her eye line. This means that movements of the driver’s head will result in updating the AR imagery so that they match and overlay real physical objects on the road. The cameras also detect the side of the road and use this reference point to place the AR imagery in front of the driver. The cameras can also be combined to produce a variety of different views, including a bird’s eye view of the car, projected in the HUD to give the driver an a complete 360-degree top-down image. The cameras also negate the need for physical driving mirrors, with images projected in the HUD instead. The system is then responsible for switching on and off the car’s indicators and its lights, notifying the driver via the HUD.